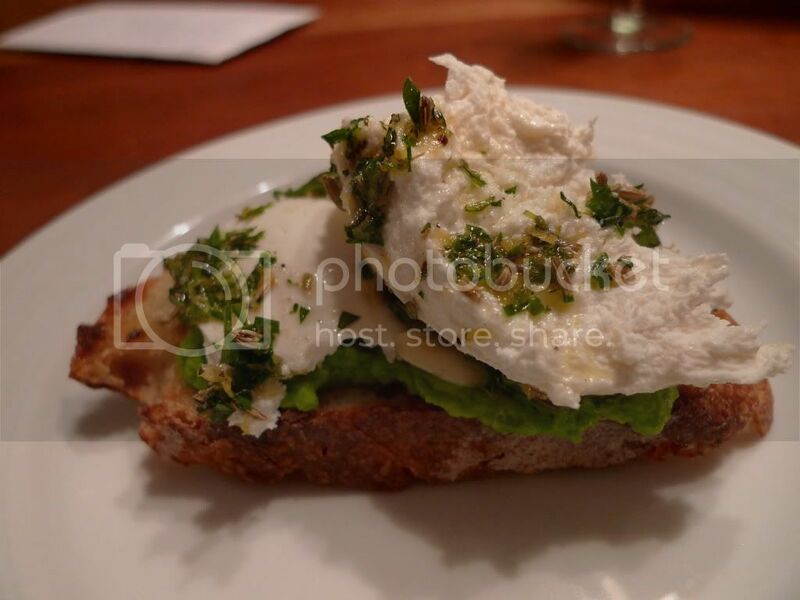 Have you visited London's Ottolenghi? I haven't, but am dying to. Sister Anna just surprised us with Ottoltnghi's latest book, Plenty. I want to make everything, seriously. Maybe I should pull a Julie Powell and cook my way through it? Ps. Favorites from their first book, simply titled Ottolenghi, include: Broad Bean Salad & Green Tahini on Bread, Oven Dried Tomatoes, Roasted Butternut Squash Humus w. Olive Oil Flatbread, and Cauliflower & Cumin Fritters w. Lime Yogurt. The book suggests to serve the mozzarella with ripe tomatoes but since April in Rhode Island doesn't scream ripe tomatoes we made a pea puree (using frozen peas). 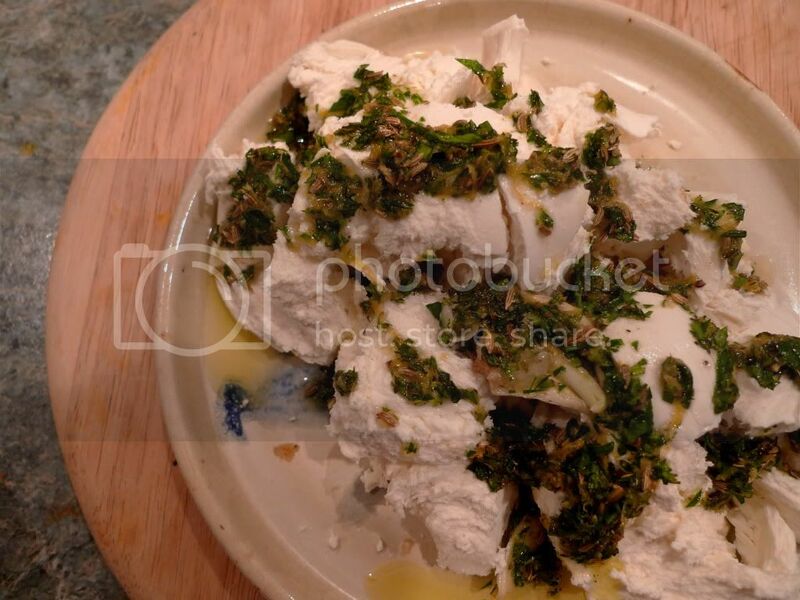 -To make marinade, toast fennel seeds over medium heat and dry roast until they begin to pop. Transfer to a mortar and pestle and crush roughly. Place the crushed seeds in a small bowl and add the remaining marinade ingredients. -Break the mozzarella roughly with your hands. Smear it with the marinade and set aside for 15-30 minutes. -Wizz peas etc. in food processor, taste and adjust to make the puree taste good to you. 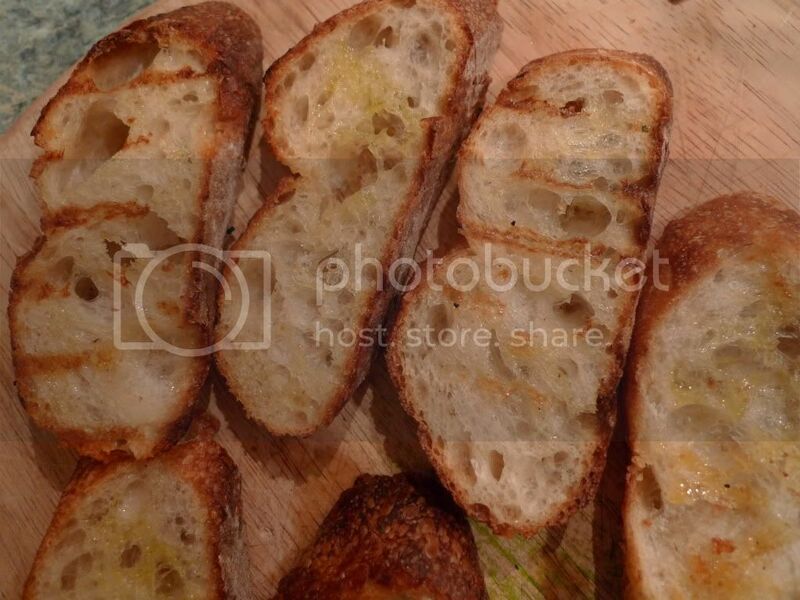 -Toast bread, brush with olive oil. Layer with puree and mozzarella - ENJOY! It is so yummy and the book it totally worth it! Adrienne, I've been enjoying your site a lot lately, thank you! Olivia I'm so glad you enjoyed it! Delicious! I cannot wait to make this - I think I'll do a take on your recipe with the burrata I've got, using the same seasonings.